In Short: Children with chronic physical illness are at higher risk of depression and anxiety across the lifespan. This information is critically important for medical professionals and services. Chronic physical illness affects large numbers of children and families. Worldwide, 1 in 5 children live with chronic physical illness. For example, 1 in 10 children have asthma, 1 in 180 babies are born with congenital heart diseases, and there are more than 30,000 children and young people with diabetes in the UK. Chronic physical illness is a serious burden on its own because it affects children’s normal activities. It may limit a child’s ability to function, result in needing help from others, or require long periods of hospitalization. Moreover, chronic physical conditions are known to have a negative effect on children’s mental health. Recent studies collectively suggest that children with chronic physical illness are more likely to experience emotional and behavioral problems. With the advances of medical treatments in the last decades, children with chronic physical conditions live longer. For example, between 1979 and 2008, deaths from congenital heart disease in children declined by 83% in the UK, and there are more than 35,000 survivors of child cancer alive in the UK. Researchers are eager to understand the quality of life these young survivors experience. We examined how chronic physical conditions during childhood affect mental health disorders such as depression and anxiety in adulthood. A systematic literature review of 37 studies sought evidence for multiple childhood chronic physical illnesses, such as arthritis, asthma, cancer, chronic renal failure, congenital heart disease, cystic fibrosis, type-1 diabetes and epilepsy. 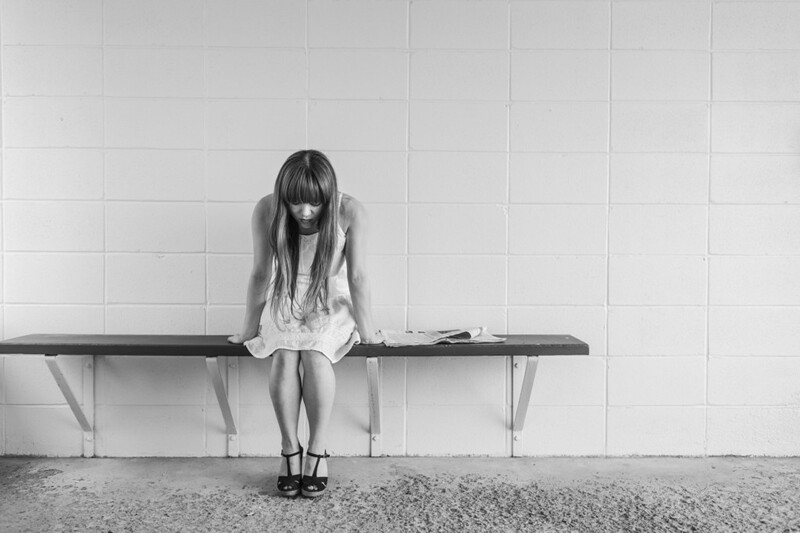 An assessment of the more than 45,000 participants in the studies examined the effects of the illnesses on two most common mental health problems — depression and anxiety. We found that people with a childhood chronic physical illness were more likely to experience anxiety and depression in adulthood. Specifically, the risk of having depression was 31% higher, and the risk of having anxiety was 47% higher for those with childhood chronic illness than for those without. This suggests that the risk of emotional problems in people with childhood chronic physical illness persists beyond childhood and adolescence into adulthood. We also examined the individual effects of asthma, type-1 diabetes, and cancer. The findings were particularly convincing for cancer: patients or survivors of pediatric cancer were nearly 20% more likely to experience depression in adulthood. We also found the similar trends for asthma and type-1 diabetes, but these results were inconclusive due to small numbers of studies and participants. Overall we have found evidence that children with chronic physical illness are at higher risk of depression and anxiety across the lifespan. This information is critically important for medical professionals and services. Mental health assessment and treatment should be an integral component of comprehensive care of chronically ill children and adolescents. Additionally, the results highlight the importance of developing and implementing preventive measures to improve psychological well-being and resilience for children with chronic physical illness. These strategies will help reduce the risk of emotional problems throughout a patient’s life. 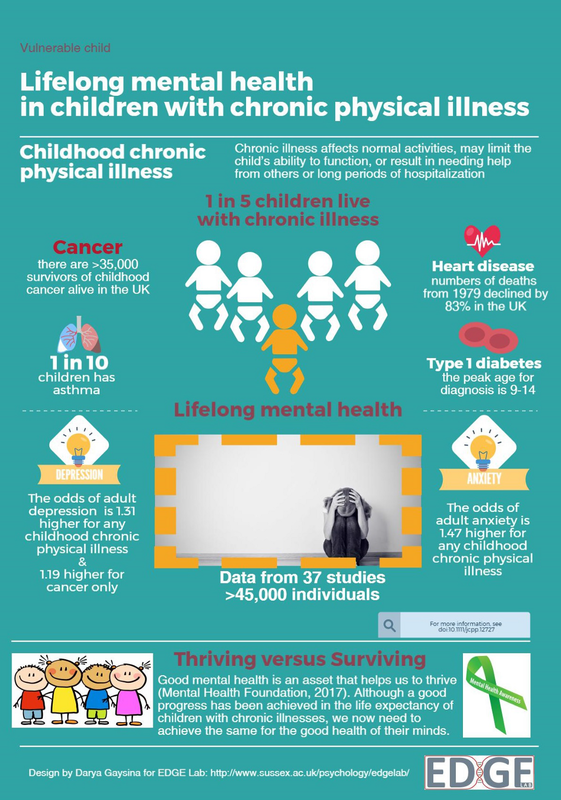 Although progress has been achieved in the life expectancy of children with chronic illness, we now need to achieve the same for their quality of life and mental health. Editors note: This article was written by Dr. Darya Gaysina, the principal investigator of this study. Dr. Darya Gaysina is a lecturer in Psychology at the university of sussex, UK. This entry was posted in Featured, Medicine & Health. Bookmark the permalink. Research into oleic acid — the primary ingredient in olive oil — has shown how it can help prevent cancer-causing genes from functioning in cells.